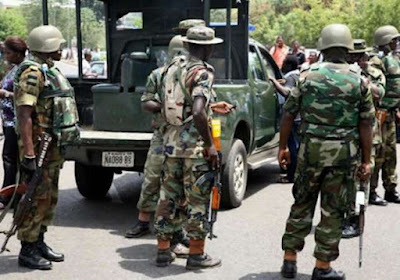 The Nigerian Army said on Sunday that it had concluded plans to launch its “Operation Crocodile Smile” in Ogun State. The operation is a training and operations exercise planned for the South-western part of the country. Mr. Adoke, who said that the initiative would commence “in the next couple of days” across the state and its environs, said it is targeted at miscreants. “We are going to start Operation Crocodile Smile in Ogun and it involves series of actions to step up tempo targeted at miscreants,” Mr. Adoke said. ‘Though the state is relatively peaceful we still have some miscreants to deal with, so when you see Crocodile Smile, don’t be scared,” he said. According to him, the exercise is a replica of Operation Python Dance recently carried out in Abia and the South-east to tackle crime.